Beachfront on the south coast of Barbados, close to Oistins and St Lawrence Gap with shopping, restaurants and nightlife. Approx. 15 minutes from the airport. 93 rooms each with air-conditioning, television, bath or shower and fridge. Superior Mixed View Rooms as above. Superior Island view Studio also has a kitchenette and balcony. Superior Oceanview Studio as above with ocean views. Superior One Bedroom Island View Apartments have a separate living room (air-conditioning in bedroom only), a kitchenette with microwave and enjoy an island view. 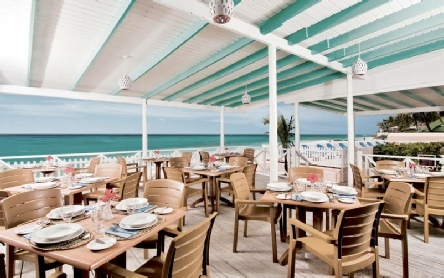 A large freshwater swimming pool overlooks two spectacular white sand beaches and informal Caribbean and international dining can be found at The Reef Bar and Grill Restaurant where you can sip tropical cocktails. Enjoy entertainment twice weekly and the weekly manager's rum punch party. The focus here is all about relaxation and fun. A small gift shop offers souvenirs and essentials. Free internet access throughout the hotel. Let the oceanfront setting of this colourful hotel sway you into the relaxing lull of a Caribbean lifestyle. White sand beaches, turquoise waters, mouth-watering cuisine and a soothing vibe will make it hard to leave. 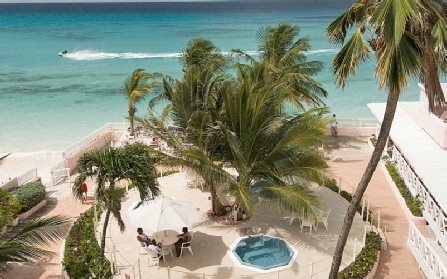 2019 package holidays to the Butterfly Beach Hotel, Barbados Prices are per person based on two sharing. Prices include flights, transfers and accommodation, and are subject to availability. Flights from Gatwick - other departures also available, call for details. Holiday ref T0917W.